So time to take a look back at the action in the Champions League & see where all the teams are at. Man Utd somehow lost to Basil 1 – 0. This was after Fellaini alone could have had a hat-trick in the 1st half. He had one cleared off the line, hit the wood work and put a header wide when it would have been easier to hit the target. Lukaku was also played clean through by Paul Pogba but the Basil keeper, Tomas Vaclik, got down well to save. As the game wore on Basil smelled blood, and in the 89th minute a perfect in swinging cross was met by Michael Lang as Blind try to intercept it with a last minute lung. Lang connected with a firm finish and the night was Basil’s. Basil always seem to be able to raise their game against English opposition, as they have a good record against English teams in the Champions League. Mourinho now needs a point from the last game against CSKA to be sure of top spot in the group. Not ideal, since he would have wished to have things sown up here, as they play Man City in the Premier League a few days after hosting CSKA in December. 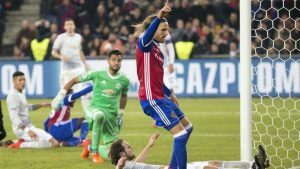 CSKA totally dominated the game against Benfica and came out deserved 2 – 0 winners. But their reward is that they now need to beat Man United at Old Trafford to be sure of qualification, or hope that Benfica can beat Basil. If both CSKA and Basil get the same result then Basil will go through as there both on the same points with 9 a piece, but Basil have a better goal difference of +4 compared to CSKA’s -1. PSG against Celtic, goals galore. Celtic made the mistake of upsetting PSG by scoring first and going in front. PSG response was to score 7. Neymar was again simply awesome, scoring 2 with some clinical finishing and providing an assist for Cavani. This PSG team are something else. 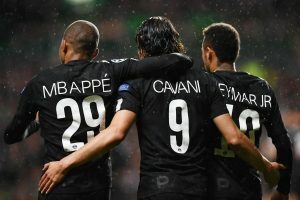 Mbappe and Cavani (2) got in on the action as well getting on the score sheet. If there ever was a case of buying success immediately then this is it. If they keep up this kind of form in the competition then no one will touch them. I still find it hard to believe that this team has gelled so quickly and seamlessly as it was only put together in the summer. Neymar and Mbappe are key playes in this team, but so are the likes of Dani Alves and Veratti who both got on the score sheet as well. This team going forward are simply breath taking to watch. Anderlecht put it up to Bayern but missed a few gilt edge chances early on. Lewandowski then made them pay for the early misses when he put Bayern ahead, but Anderlecht then came fighting back when they equalised through Sofiane Hanni. But Bayern were to have the final say as they grabbed the winner through Tolissso when he got up well and scored with a strong header. Chelsea looked back to their ruthless best as they stuffed Qurabag 0 – 4. Willian put in a man of the match performance and Hazard set him up with one of his goals with a delightful back heel inside the box. It’s really hard to gauge Chelsea at the moment, on their day they are capable of beating anyone, they have the players and manager to do it. Expect them to get stronger as the season reaches the business end. Roma were well beaten by Atletico in Madrid 0 – 2. 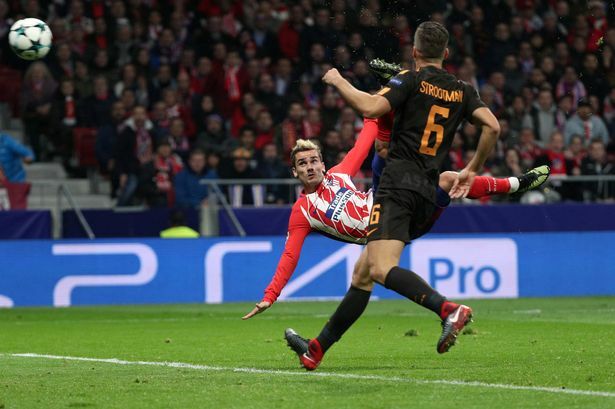 Griezmann scoring the pick of the night with a wonderful scissors kick. Of course, it was pretty much laid to him on a plate, but the technique and execution was on point. Atletico will be doing well to keep the dirty paws of PSG, Man City et Co. off their prized asset come the summer. 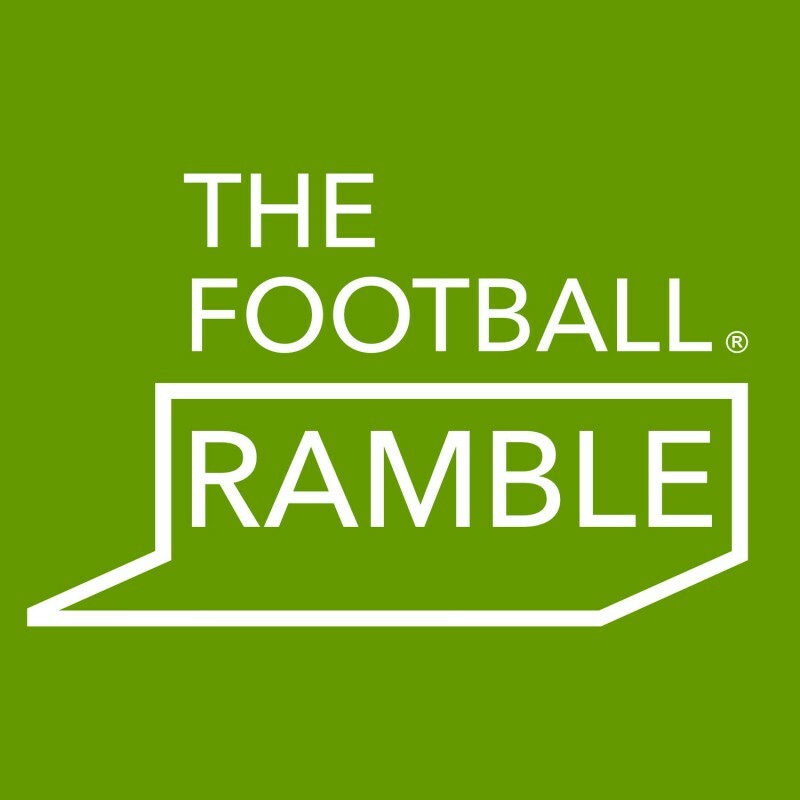 Atletico can still go through if they beat Chelsea by 2 or more at Stamford Bridge, and Roma fail to beat Qarabag at home. Those sequence of results look unlightly, but you never know. Roma’s win against Chelsea in Rome only a few weeks ago now seems like a fading distant memory. 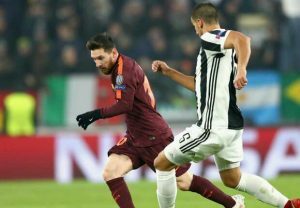 Barcelona drew another blank against Juventus, in a 0 – 0 draw. It was a dour affair and never lived up to the pre-match hype. Wasn’t helped by the fact that Messi started on the bench, and was then brought on mid way through the 2nd half to liven up proceedings as Barca attempted to go for the win. Barca came closest in the 1st half when they hit the woodwork with a free kick that was meant as a cross, but passed by everyone. And again in the 2nd half when Messi hit a beautiful diagonal pass to set Lucas Digne free, but instead of going for goal which he should have done, he elected to centre it but it was easily cut out by the Juve defense. Juve nearly snatched it at the end when Dybala connected with a shot first time on the edge of the box but their keeper, Ter Stegen, got down really well to pull off the save of the night from inside his right hand post. Barca indeed looked lost without Messi. Suarez doesn’t look any where near the level he used to be at, it almost looked like he was carrying an injury as he looks sluggish. His attiude at times though doesn’t help himself or the team. Iniesta is coming to the end of a what is a glittering career, what a player he has been. Barca might be 10 points ahead in La Liga right now, but they appear listless in the Champions League. They really miss Neymar this season, and should never have let him go. They needed him to rebuild the team around him when Messi finally hangs up his boots. A massive mistake I feel. 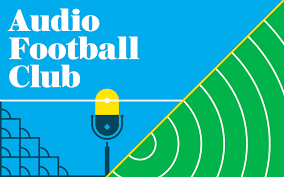 Juventus, are another team that seem to be on the wane. It now looks like this team missed their final opportunity of winning the Champions League last season as I don’t see then reaching the final this year. They were clearly second best to Barca all evening and had trouble getting the ball from them. And this was a Barca team which were far from their best. If anything, they seemed not to get out of 2nd gear, and simply grinded out a result. If any team deserves to grind out a result, it’s this Barcelona team. A team that has given us so much entertainment in recent years. Sporting Lisbon easily beat Olympiacos 3 – 1 in Portugal; leaving them a point behind Juventus, with a better goal difference of (+1), to Juve’s (0). Barca are through, while Juve need to beat Olympiacos to be sure. If Sporting Lisbon fail to beat Barca at the Camp Nou then a draw for Juve in Greece will be enough for them to progress. This was without a doubt the game of the round. A game of 2 halves as Liverpool dominated the first half and went in at half time 3 nil up. It must be said though that Sevilla did have their chances in the 1st half as they hit the upright at one point when the Liverpool goalkeeper, Loris Karius, deflected a shot on to the post. Liverpool found their range in the 1st half, Firmino scored 2, and Mane also scored with a beautiful diving header, a virtual replica of the 1st goal scored by Firmino. Sevilla meant business in the 2nd half and came out all guns blazing, and had scored 2 goals inside the first 15 minutes. It was almost as if the Liverpool players thought the game was up at half time and simply had to show up for the 2nd half. They soon realised they had a game on their hands. After Sevilla scored their 2nd from the spot Klopp brought on Milner (in place of Moreno), and Emre Can to steady the ship. Moreno had been at fault for the first 2 goals, and is without doubt a massive liability. His decision making is truly horrendous, and seems to lack any sort of composure when put under pressure. The double substitution worked until Sevilla managed to sneak one in from a corner in injury time through Pizarro. It was virtually the last kick off the game, and in truth, it was all that Sevilla deserved. 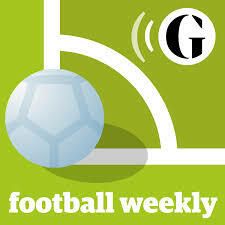 It was after all a valiant comeback, aided by a pretty shambolic Liverpool collapse. In the other game in this group Spartak went ahead against Maribor in the 82nd minute, but somehow, and inconceiveably let Maribor equalise at the death, in injury time. In turn, jeopardising their chances of going through to the next roud. As they now need to beat Liverpool in Anfield and hope that Sevilla drop points away to Maribor. In short, Spartak Moscow seem to have blown their chances of finishing 2nd in the group. Man City grinded out a win against bottom of the table Feyenoord, Sterling scoring with a composed finish late on. 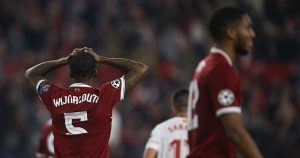 They were far from their best and Guardiola fielded a team that had 7 changes from the one that played in the Premier League at the weekend. But they didn’t need to be against a Feyenoord team that have been disappointing this year. Napoli won well against Shakhtar, 3 – 0 at home, and it wasn’t until the 56th minute until they broke the deadlock. But what a beauty it was, Insigne curled a pearler in to the top corner from outside the box, and it was the pick of the 3 they scored on the night. They deserved their win as they dominated the game from start to finish. 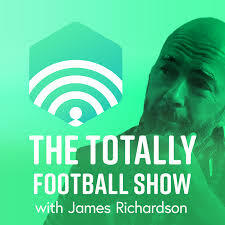 And now give themselves a chance to go through but will need to beat Feyenoord in their last game and hope Man City can do them a favour and beat Shakhtar Donetsk. Guardiola will most lightly rest players for that game though as they play Man Utd a few days later in the Premier League. You would think though that Man City’s 2nd team would almost be good enough to see off Shakhtar Donetsk with the way their playing at the moment. Napoli fans will be on tender hooks for that one, but I hope they go through as they have been really entertaining to watch. Porto went ahead against Besiktas with a sweet strike, but Besiktas managed to come back and equalised and got a 1 – 1 draw from the match which ensures their passage to the next round. Besiktas,the surprise team of the tournament. The Turkish team , that took on a bunch of players that were considered past it, such as Ryan Babel and Pepe, who have repaid them and not let them down. Great to see them progress. Monaco got thrashed by Leipzig 1- 4 and were truly awful on the night. 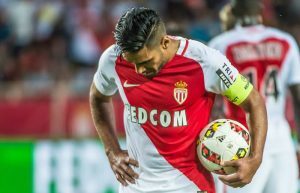 Falcao scored a consolation goal but must be wondering what he is still doing at the club as it falls apart a round him. They are 2nd in the Ligue 1, 6 points behind PSG. But let’s be honest, the French Ligue isn’t up too much. Credit to Leipzig, they were really good on the night, and put Monaco away with minimum fuss. But I don’t see Leipzig competing against the bigger teams in the tournament if they were to go through. Leipzig host Beskitas in their final game, Porto host Monaco, they are both on the same points, but Porto have a better goal difference of +2 to Leipzig’s 0 goal difference. I expect both of them to win their games but I think Porto will shade it on goal difference. Borussia Dortmund went ahead against Spurs with a well worked move with their star bad boy striker – Pierre-Emerick Aubameyang’s – finishing it off with a cool finish. But then up stepped you know who – Harry Kane – to slot a strike into the bottom corner from the edge of the box. Spurs then showed their pedigree with a run from Dele Alli from the by line into the box before laying it off to Son who dutifully slotted it into the top right hand corner. If this team continues to play like this they will be in contention come the closing stages of this tournament in April. They mean business and are fearless. Real Madrid swatted aside APOEL 6 nil in Cyprus. Modric started the rout, and Ronaldo finished it with a 2 goals of his own. While in between he unselfishly laid one on a plate for Benzema, after Benzema had slotted home another one before it. APOEL were simply overwhelmed by a Real Madrid seemingly back to their best. The Spurs defeat seems only like a minor blip now, though that said, they trail Barca by 10 points in La Liga.